The announcement was made during trading hours today, 28 March 2019. Meanwhile, the S&P BSE Sensex was up 350.95 points, or 0.92% to 38,483.83. On the BSE, 4,218 shares were traded in the counter so far compared with average daily volumes of 1,405 shares in the past two weeks. The stock had hit a high of Rs 265.95 and a low of Rs 258 so far during the day. The stock hit a 52-week high of Rs 379.10 on 18 September 2018. The stock hit a 52-week low of Rs 206.45 on 28 January 2019. Subros, in line with its long term plan and strategic intent to expand business in home AC domain, had initiated manufacturing and business development activities in this segment during past few years. To add product range of indoor unit, outdoor unit and window AC units for realizing the growth potential faster, Subros has entered into a memorandum of understanding with Zamil Air Conditioners India (ZAMIL) to acquire ZAMIL's certain assets relating to manufacture of home air conditioning systems. Subros is in the process to enter into definitive agreements in this regard. Through this initiative, Subros will create capacity of 500,000 units per year and also expand its supply of home air conditioning units to various OEM's. The transaction is subject to customary closing events and is expected to be completed during April 2019. 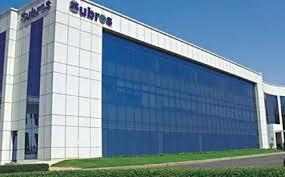 Net profit of Subros rose 4.63% to Rs 17.19 crore on 13.80% rise in net sales to Rs 510.69 crore in Q3 December 2018 over Q3 December 2017. Subros manufactures thermal products for automotive applications in India, in technical collaboration with Denso Corporation, Japan. The company manufactures compressors, condensers, heat exchangers and all connecting elements required to complete AC loop and caters to all segments viz. passenger vehicles, buses, trucks, refrigeration transport and railways.  MCX Commodity Tips is very much favorable to all and can be traded at any time in the market to whoever can trade after their job working hours as MCX market starts at 10:00am to 11:30pm mostly can be done with little investment and our calls reaching more accuracy. MCX Commodity Tips is also called as SureShot Commodity Tips as we maintain above 80% accuracy.